Castle Gate Media, your source for the best Video and Creative Services in Washington DC, Maryland, and Virginia. Expert video content for all platforms. Castle Gate Media is a full-service video agency focused on one goal – visually connecting your story to your audience. For two decades, our creative team has successfully developed powerful communication tools, across multiple platforms, for a wide range of clients. We’re not a jack-of-all trades. We do one thing, and we do it very well - we produce top quality video products. 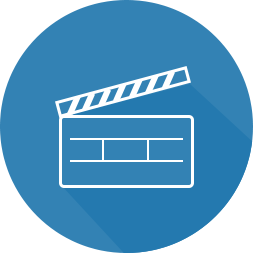 Non-Profit PSAs, Political Campaign Spots, Corporate Commercials, Marketing Shorts, Mini Documentaries for Development and Fundraising Programs, Animated Explainer Videos, Medical Training Modules – we’ve created them all. Along the way, we’ve also created a long list of satisfied clients. Our partnership with you begins with listening. We listen to your story. We then help you craft your message, develop a unique creative strategy, and identify the most effective avenues to communicate your story to your target audience. Whether it’s an intimate one-on-one interview or a large commercial shoot on a busy downtown avenue, Castle Gate Media understands what will make your production day successful – attention to detail, and a singular focus on effectively communicating your story. Once the cameras stop the creativity continues, and your story comes alive. The pace of the editing, the choice of music, incorporating simple graphics or lively, full-screen animations – every post-production decision is customized to your specs, for your audience. At the helm of Castle Gate Media are Tom Keith and Robert Ryan. Their success is the result of a perfect combination of award-winning media skills – Robert’s track record as an innovative Writer/Producer; Tom’s unique visual artistry both behind the camera and when overseeing post-production. High-quality, engaging content is our calling card - the reason clients first find their way to our door. The customizable experience, the collaborative atmosphere, and the personal service are why our clients return again and again to Castle Gate Media. © Castle Gate Media 2018. All rights reserved.